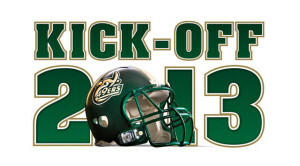 Martin Sumichrast comments that “Starting a new NCAA Division 1 football problem must be a very challenging endeavor.” The Charlotte 49ers will kick-off their inaugural season in about two weeks. While Martin’s pretty sure they will face a tough start, he thinks the Charlotte region produces some very impressive athletic talent, especially just South, in Rock Hill, SC. This should bode well for the 49ers as they build their program and draw from this impressive talent pool. This entry was posted in Charlotte NC, Community, Football, Martin Sumichrast and tagged Charlotte NC, Football, Martin Sumichrast by Admin. Bookmark the permalink.